Electronic fabrics are one thing, but robotic fabrics are a whole new field in wearable technology. New developments at Purdue University have led to a robotic fabric, an electronic skin if you will, that can bend, twist and contract that could soon lead to a whole array of applications. These robotic fabrics could be used as a skin over objects to set them in motion, or could be used to create active clothing that could aid in sports, spacesuits, military uniforms and much more. The robotic fabric is being developed by a Rebecca Kramer, an assistant professor of Mechanical Engineering at Purdue University, and her team through a digital fabrication lab called the Faboratory. Made from cotton, the electronic textile is woven with sensors made of a flexible polymer and threadlike strands of a shape-memory alloy. When heated, the alloy returns to a coiled shape, thus contracting and causing the fabric to move. 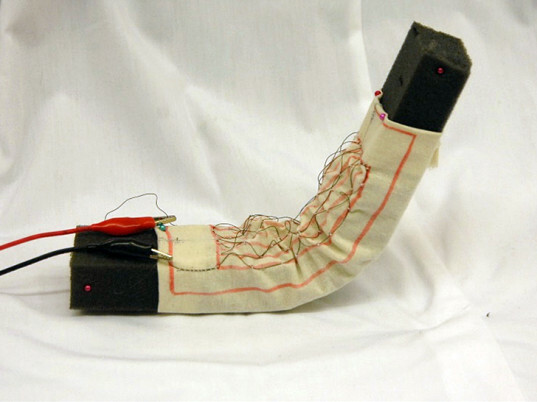 Together, the sensors and shape-memory alloy can bend, twist or contract the fabric and depending on the orientation and setup can create motion. 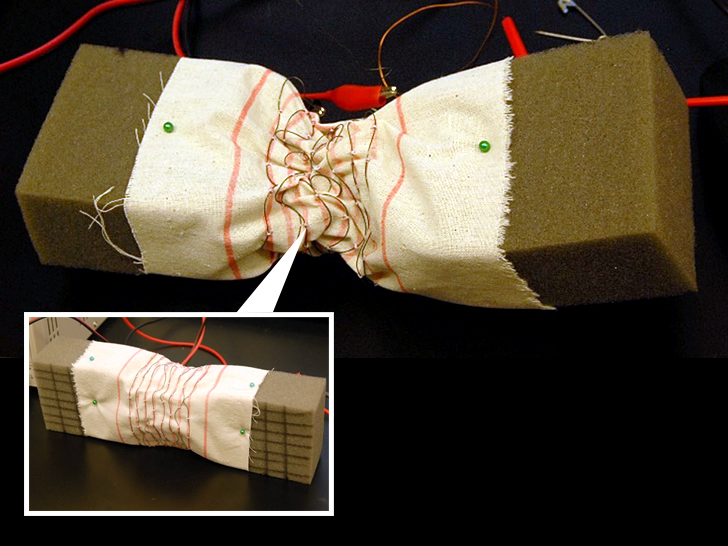 Robotic fabrics could be utilized in a variety of applications, most notably making clothes that can move on their own. People who suffer from disabilities could wear clothing made from these materials and be supported, strengthened and maybe even be moved. NASA seems especially interested in the technology as a way to improve spacesuits to help astronauts or pilots to help counteract the effects of acceleration. Soldiers could wear suits to improve endurance and strength while carrying heavy loads over long distances. Kramer also sees these electronic skins as a way to build robots on the fly by wrapping objects to create movement, locomotion or even hold them in place.